Come for a cuppa and cake. There will be cakes, chutney and local honey for sale. 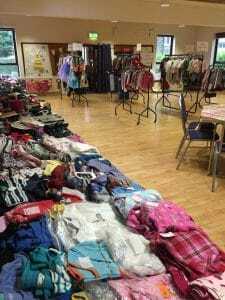 £1 lucky dip bags will be there to tempt you! All money raised will go to ‘Give a Child a Hope’. 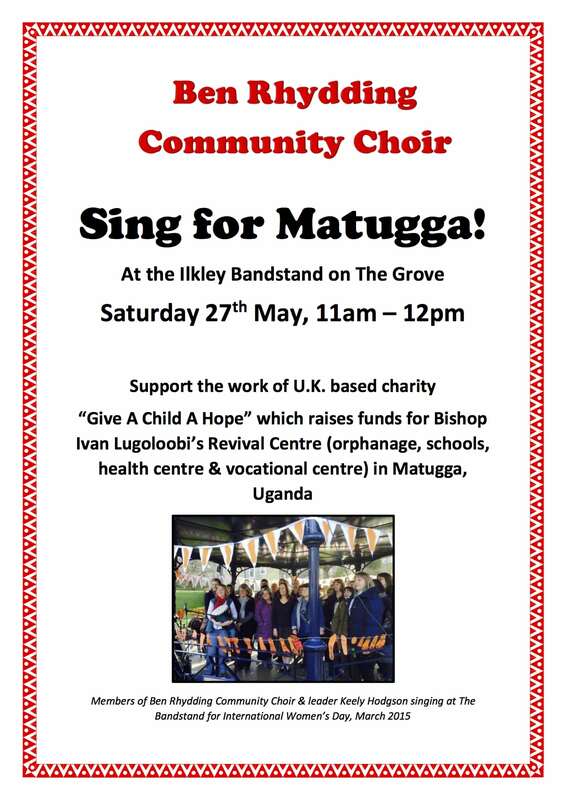 All proceeds are split 50% between those who donate and charities (including Revival Centre, Matugga). Please come along to support this event. See you there! In July 2017 a team from the UK travelled together to spend time with Bishop Ivan and Madam Allen at Revival Centre, Matugga. 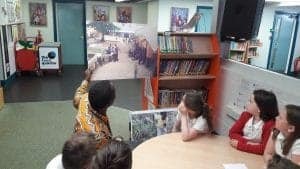 The team consisted of one trustee (Prof Marion Hetherington), and 5 young people from Ilkley, Harrogate and Reading (Sarah Pickering, Amy Tran, Ruaridh Mon-Williams, Ben Smith and Will Giddings). We had a delayed flight from Manchester on July 11th into Dubai necessitating a dash for the flight to Entebbe! At the airport we were met by a student from University of Leeds – Fenella Ellison and together we travelled with Bishop Ivan and Kayanja to Matugga. 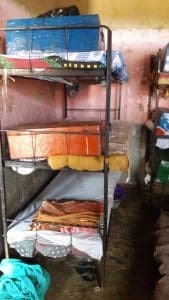 During the weeks that followed money which had been raised by the team was spent on a new senior school kitchen and providing a new water system for the senior girls’ dormitory. In addition, weights and heights of the champions were taken for our nutrition project and language testing for a psychology research project. 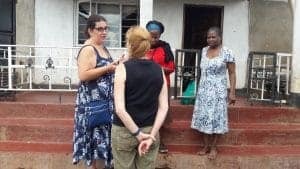 After Marion, Sarah and Amy left to return to the UK on 29th July, another Trustee and Chair of the Charity Debbie Walker arrived with her friends Marta and Alan Chapman (newly married) to begin their visit to Matugga. Marta is a vet and Alan a science teacher, their visit to Revival marked a very different kind of visit with part of their honeymoon tending to some of the livestock locally and on the RC farms (more to follow on this from Debbie). It has certainly been hectic for the Matugga team to look after so many visitors. Ben, Will and Ruaridh stayed for a month in total, and as they were leaving the kitchen was near completion, the new water system in full operation and a new playing field acquired and ready for clearing. It has been a remarkable summer for the visitors and there are photographs and blogs available to read in more detail on the website (see Visitor Blogs). Newlyweds Marta and Alan Chapman with a gift of goats! Here are some photos from the visit to Revival Centre, Matugga in 2016 (4 trustees – Debbie, Sharon, Hannah and Marion; Sharon’s son Peter, Hannah’s son Christopher and friend of Revival – Jane Coupe). 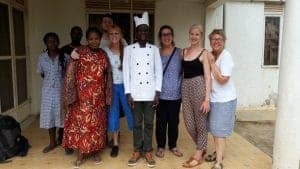 Babirye Faith, Chef Moses, Madam Allen, Peter, Sharon, Chef Ivan (in chef whites), Debbie, Hannah and Marion . 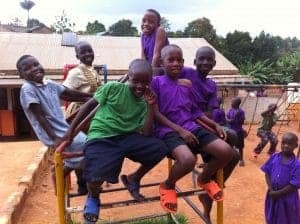 All proceeds from this event will be going to the centre via the local charity “Give a Child a Hope” which was set up to support the work of Bishop Ivan Lugolobi and his team in Uganda. The evening will be held in the Hall of St. John’s Church, Ben Rhydding. The concert will be set in a relaxed, cafe-style environment. There will be a bar available. Tickets : £5 per adult, £12 family. Available from the Church Office (601430) or the Vicarage (607363). please follow them on Facebook : http://www.facebook.com/cellophonics.